Look, it’s not that we don’t like the song; we just think there are better options. How about dreaming of a white-sand Christmas instead? While the rest of the continent is freezing its collective buns off, we Southwest Floridians generally spend the holidays thinking, “Wow, this truly is the most wonderful time of the year.” The temps are warm but not too hot, the busy season is in full swing, and even Santa is stoked to ditch his sleigh for some water skis. 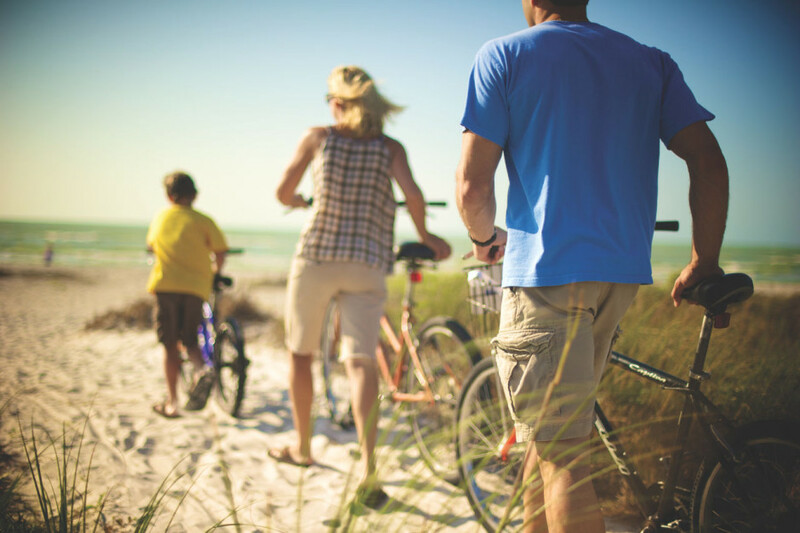 If you’re yet to spend a December on or around The Beaches of Fort Myers & Sanibel, you’re missing out. Here’s why. 1. The days really aren’t as dark. This may be the darkest time of year, but because of South Florida’s proximity to the equator, we still get way more daylight than Northern states. Fact: On the winter solstice, parts of Maine will only get nine hours of daylight, while south Floridians enjoy nearly ten and a half hours of glorious sunshine. 2. Even our boats are festive. For 27 years, boat owners in the Fort Myers & Sanibel area have been decking their top decks with lights, ornaments, fog machines…really anything that strikes their fancy. 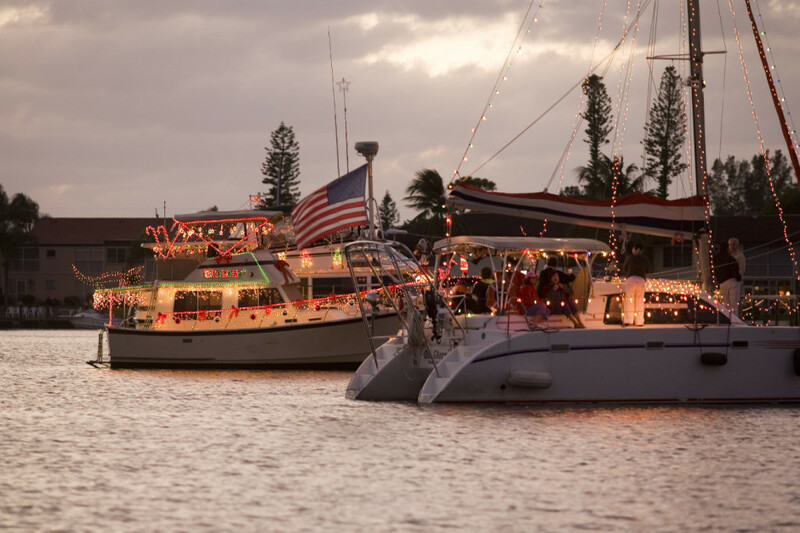 The result is several festive boat parades — in communities including Bonita Springs, Cape Coral, and Captiva Island — that cruise the area’s waterways. One of the largest takes place in Fort Myers Beach (December 5 this year) and sees boat owners go all out, having a ton of fun while sailing their bedazzled vessels through the harbor. 3. You haven’t seen creativity until you’ve seen palm trees all lit up. Trimming a regular tree with lights is easy: Start at the top and wind down until you get to the bottom. Trimming a palm tree, on the other hand, takes a bit more ingenuity, but that doesn’t stop the locals. Drive through any of Fort Myers’ neighborhoods this time of year and you’ll see tons of brilliantly strung lights. Just because it’s 75 outside doesn’t mean we skimp on the decorations. 4. Stepping into Christmases past is easy. In modern times, the Edison & Ford Holiday Nights event showcases what these grand historic homes might have looked like decorated for Christmas in Edison’s day. There are historic decorations and millions of lights, self-tours and guided tours, visits from Santa, Clydesdale horse and wagon tours, river cruises, and kids’ programs. Catch this year’s festival from November 27 to January 3. 5. 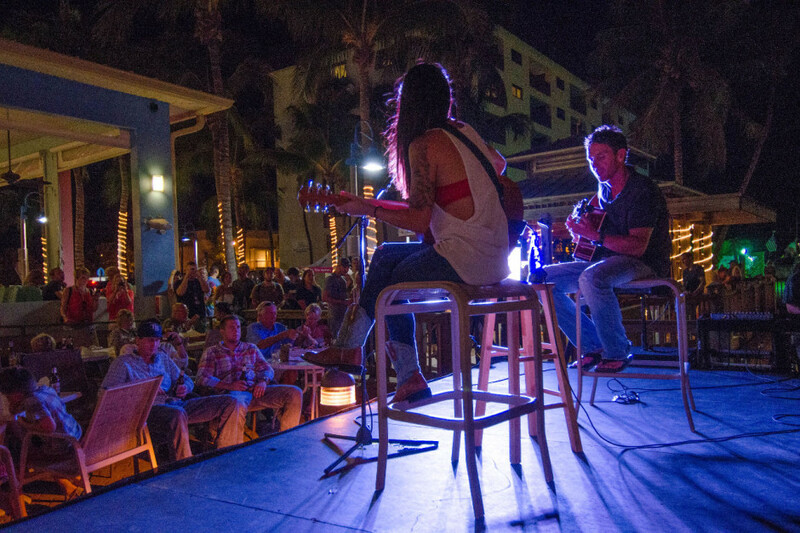 There’s more great live music here than almost anywhere. Between the Southwest Florida Symphony and the plethora of chamber groups, choirs, jazz bands, and big bands, there’s almost always some sort of live music happening somewhere in the region. And at Yuletide, the noise amplifies with more concerts and singalongs. One of the best of the year is the Southwest Florida Symphony’s Holiday Pops concert. This year, the symphony will perform holiday classics at three different venues: the Barbara B. Mann Performing Arts Center, BIG ARTS at Schein Hall, and the Village Church at Shell Point (dates are December 16, 17, and 19-21). 6. We light up every inch of the night. Laid-back vibes, great food, small-town charm — the islands of Sanibel and Captiva are always good to visit. But they become especially magical during the annual Luminary Festival. 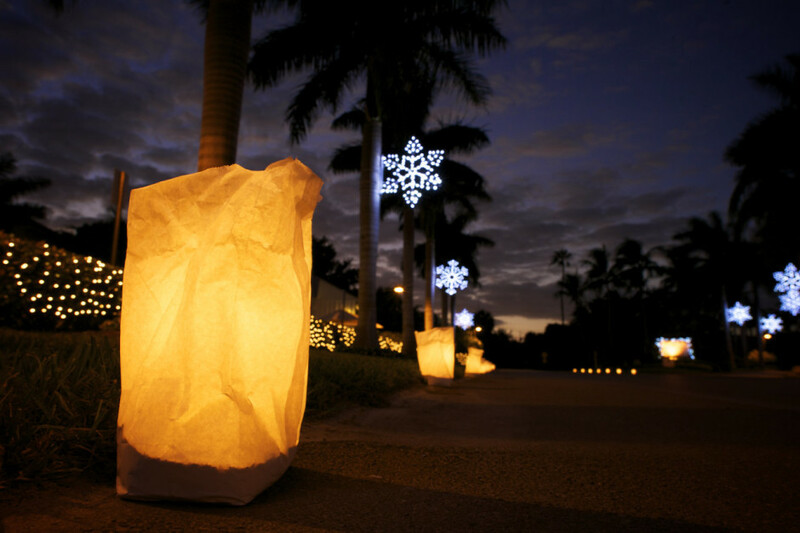 On one night (December 4 this year), Sanibel has a three-mile-long stretch of road lit by luminaries. The next night, it’s Captiva’s turn. Besides strolling the lighted streets, visitors get to hang with Santa and check out at a live nativity scene. And the event is totally free. 7. The North Pole isn’t the only village with holiday charm. 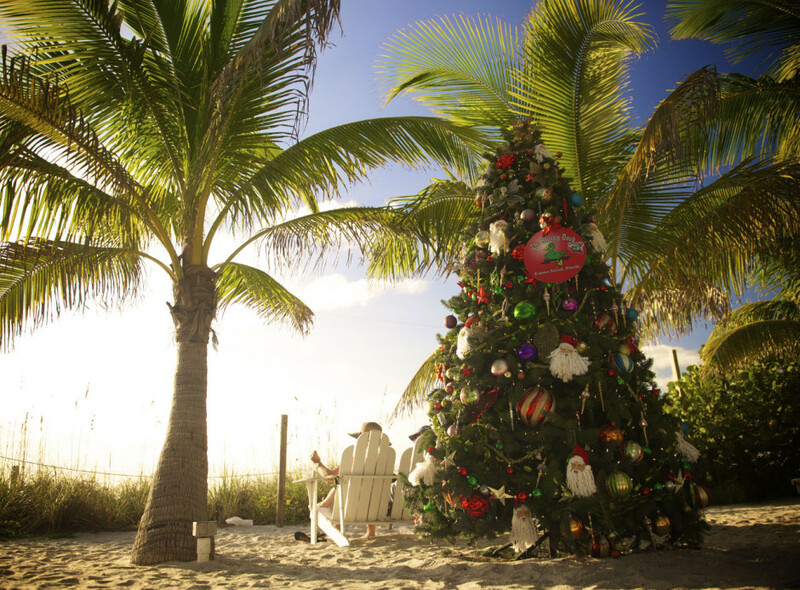 From late November through December, Captiva transforms itself from a chic island beach town to a cozy holiday village. The city gets lit to the high heavens with lights, and every week brings some sort of festive entertainment. 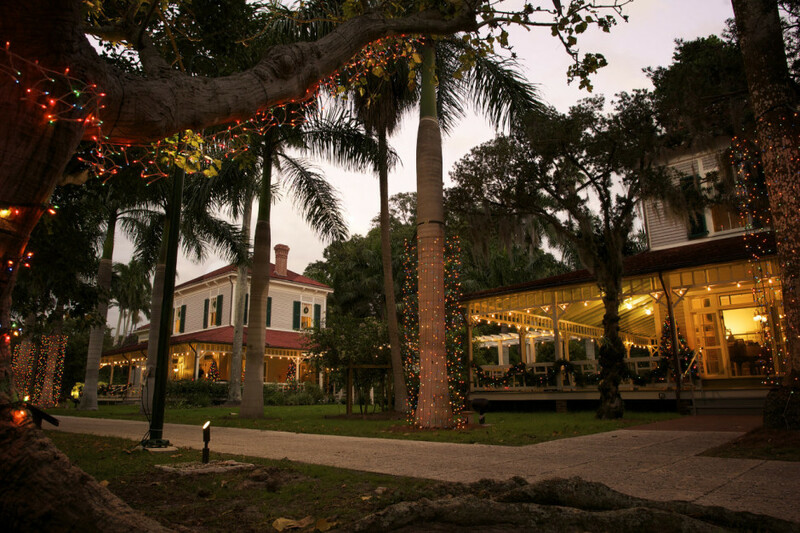 From marching bands to carols by the sea and a golf cart parade, Captiva may just be the most festive spot in the region come December. The Captiva Holiday Village runs from the weekend after Thanksgiving until Christmas, so there’s no excuse for not having time to see it. 8. Nature gives out Christmas presents. No need for wrapped plastic trinkets come Christmas Day — just spend Christmas morning shelling. 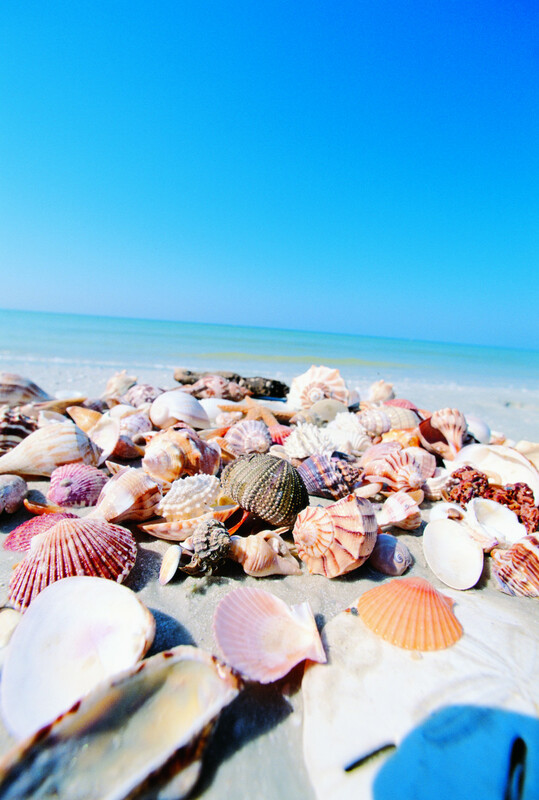 Comb the beaches of Sanibel or one of the other barrier islands and you’ll come home with pockets full of presents, all provided compliments of the sea. If you’re not the scavenging type, nature gives out another bountiful Christmas gift: stone crabs. The season runs from October to May, so make these sweet-meat crabs your new Christmas dinner tradition.